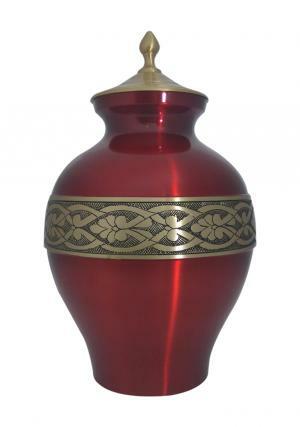 Golden Band Engraved Matt Cherry Adult Floral Urn has a unique design with plain brass lid finished in brass metal and decorated matt cherry enamel on the brass body. 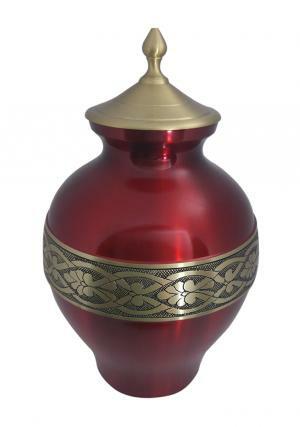 The matt cherry brass metal urn is banded with brass floral metal engraving with ancient vase structure. 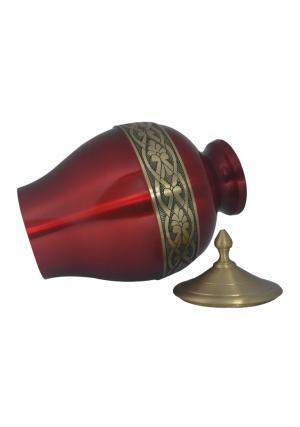 The Golden Band Engraved Matt Cherry Adult urn has a plain texture of brass finish with tip raised holdable easy lid. 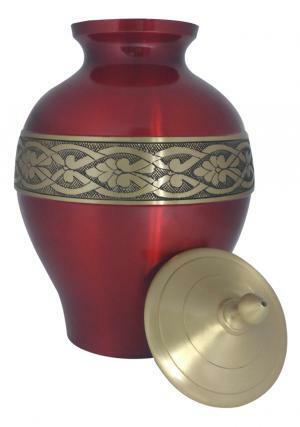 Engraved brass lid has screw threadings to secure closure of the top. 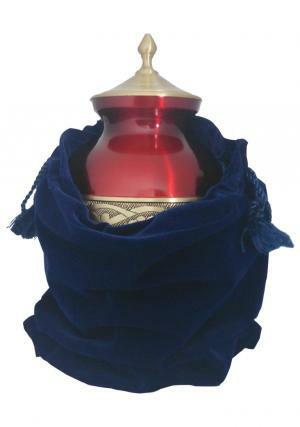 The Brass metal matt cherry urn has a volume of 200 cubic inch ashes space that measures 12 inch in height, 7.4 inch width and weighs 2.47 kg.